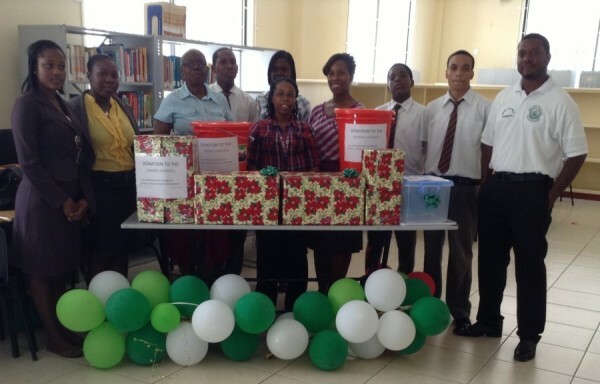 Close to EC$10,000.00 dollars in gifts and monies were presented to the Ministry of Health on Friday, by members of the St. George’s University Masters in Public Health Association, and the Social Science Class of the Grenada Boys Secondary School. The items and cheques were presented to Mrs. Ann David-Antoine, Policy Advisor to the Minister for Health and Coordinator of the Ministry’s Donations Desk, and Senior Nursing Officer in-charge of the Mt. Gay Hospital, Joanna Humphrey. Among the items received were EC$2,500.00 dollars worth of bedding and clothing, and EC$700.00 dollars worth of kitchen utensils and other gifts. The Mt Gay Hospital was also given a beautiful face-lift. A significant portion of the building was painted to the tune of EC$1,500.00 dollars. 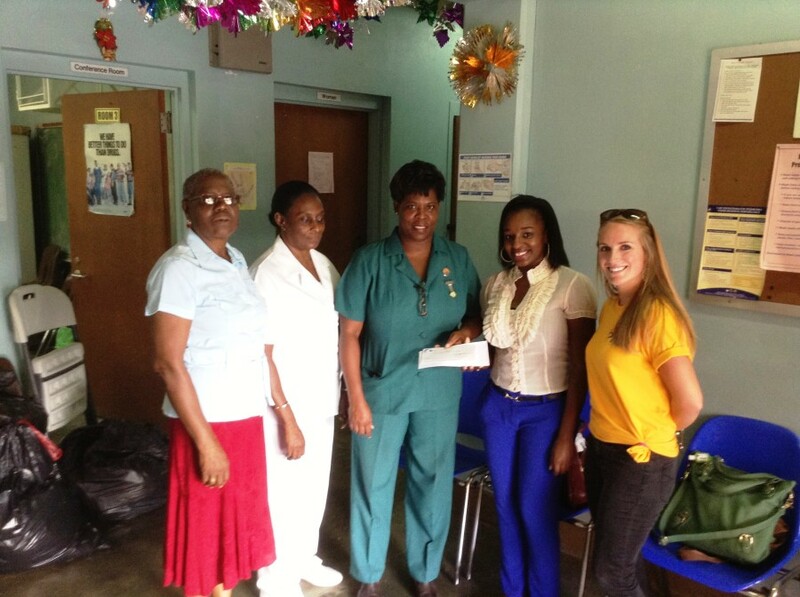 A cheque valued at EC$3,300.00 was also presented to, a delighted, Nurse Humphrey. The kitchen utensils were donated by the GBSS students, while the other gifts were made possible by the SGU grouping. The received items were immediately dispatched to the Food and Beverage department (Kitchen) of the General Hospital and other areas of the Mt Gay Hospital. Advisor Antoine was grateful for the assistance received and conveyed the Ministers’ thanks to the donors. In recent times the Ministry has been the beneficiary of several donations coordinated by both Health Minister Clarice Modeste-Curwen and Mrs. Antoine.